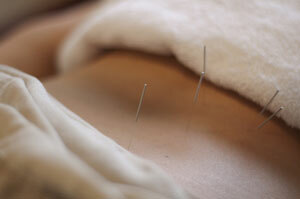 Acupuncture could be better than a common drug for treating sciatica pain, a recent small study suggests. After three treatments, 57% of acupuncture patients were cured compared to just 27% of patients taking a common pain killer and 20% receiving alkaloid injections. Researchers from China divided 90 sciatica patients into three groups receiving treatments of warming acupuncture, tablets of a common drug called Nimesulide, and injections of a plant-based alkaloid used as a natural anti-shock treatment. The researchers then measured patients initial pain thresholds. Acute and chronic pain tends to lower your overall pain threshold, or the level of pain you can tolerate. As expected, the sciatica patients had lower pain thresholds compared to 300 healthy participants tested. Over time as patients began to recover with treatment their pain thresholds crept upwards. But patients in the acupuncture group experienced more significant improvements; their pain threshold increased by 1.65 mA compared to 0.5 mA for the drug and 0.72 mA for the injection group. Researchers pointed out that acupuncture could release chemicals that alter neurotransmitters to block the transmission of pain. They also suggested that the burning moxa used in warming acupuncture could dilate capillaries in the affected area and improve circulation to strengthen the analgesic effects of acupuncture. Though previous research suggests that acupuncture can also relieve back and neck pain, this study suggests it could also be beneficial for patients with sciatica. Chen M, Wang P, Cheng G, et al. The warming acupuncture for treatment of sciatica in 30 cases. Journal of Traditional Chinese Medicine 2009; 29 (1): 50-3.